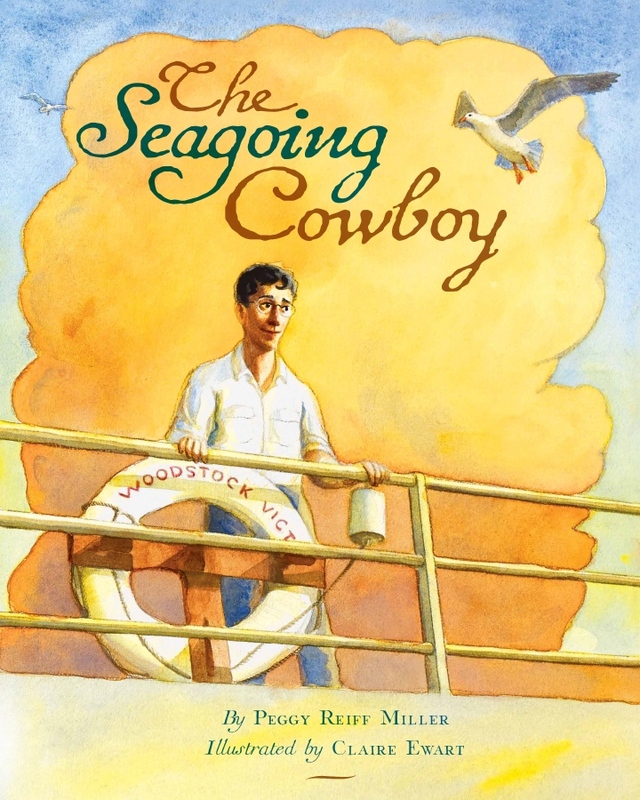 This entry was posted in Peggy Reiff Miller, picture book, Seagoing Cowboys and tagged Arkansas, Arkansas Literary Festival, Better World Books, Claire Ewart, Heifer International, Little Rock, Paul Stockwell, Peggy Reiff Miller, Seagoing cowboys, THE SEAGOING COWBOY by Peggy Reiff Miller. Bookmark the permalink. My father was a cowboy in 1958 – can’t wait for my copies to arrive ! Wendie, May I ask your father’s name and where he went? Will see you at the Canterbury School signing…hope to get books autographed. I live 5 min from the school. Can’t wait! Peggy I hoped to get your new book, but I have been away. Please put in an order for me, or bring a book(s) along for the May 11 event. I’ll have books with me, Bill. Looking forward to being at Pilgrim Place!